Every year in late May and early June, Sydney’s streets, landmarks and waterways become what Olivia Bourke calls a “wonderland of light”. But the stunning lightworks aren’t the only draw to a festival that also beats to the rhythm of local bands, and pulsates to the latest tech innovations. Here, Olivia gives us her take on one of Australia’s must-see events. 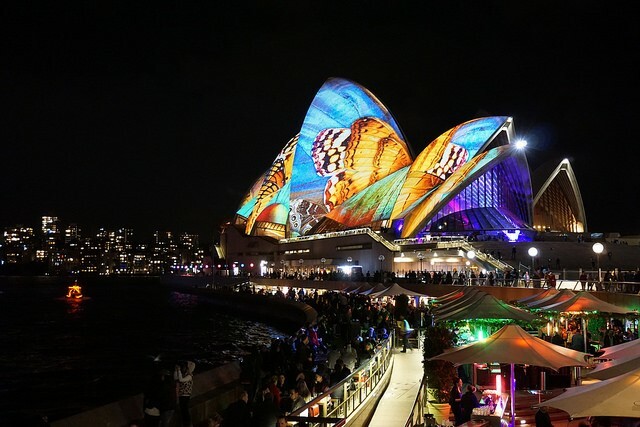 Since 2009, Vivid Sydney has continued to be one of the biggest events in Australia and combines the elements of light, music and ideas into an annual outdoor event that is the largest of its kind, and a real draw for anyone travelling Australia. 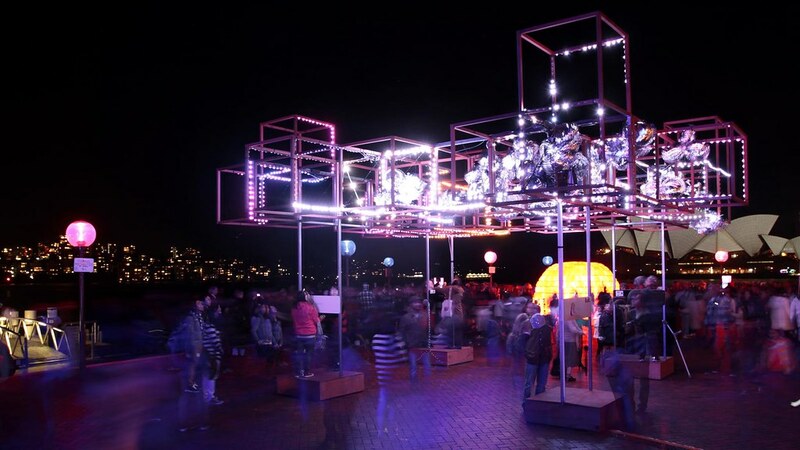 Over the years, Vivid Sydney has expanded to have a range of display setups in different precincts across Sydney and has involved areas such as the Sydney Opera House, Circular Quay, The Rocks, Darling Harbour, North Sydney and Walsh Bay. Even vessel operators have banded together to be a part of the Harbour Lights precinct for Vivid Sydney, and there are also displays at The Star and Carriageworks. Head out in winter and warm your soul with the beautiful light sculptures and mind blowing interactive designs and displays, as well as the spectacular light projections on various buildings and landmarks that bring colour and life to the city. Vivid Sydney is more than its 3 elements of lights, music and ideas – it’s an experience that will leave you dazzled. Vivid Light is what we’re all here for. 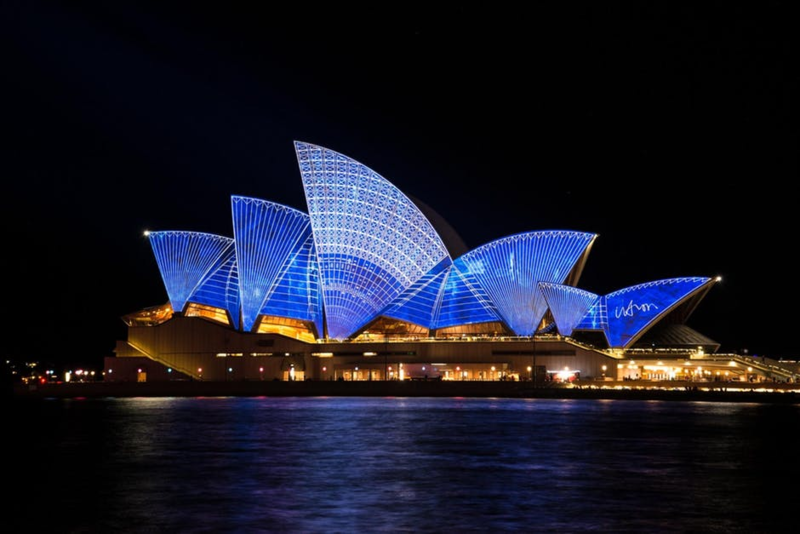 You could say that Sydney becomes a wonderland of light – brightly and wondrously decorated with interesting sculptures and installations of ‘light art’ and large-scale projections on iconic landmarks across the city such as the Sydney Opera House and the Museum of Contemporary Art. 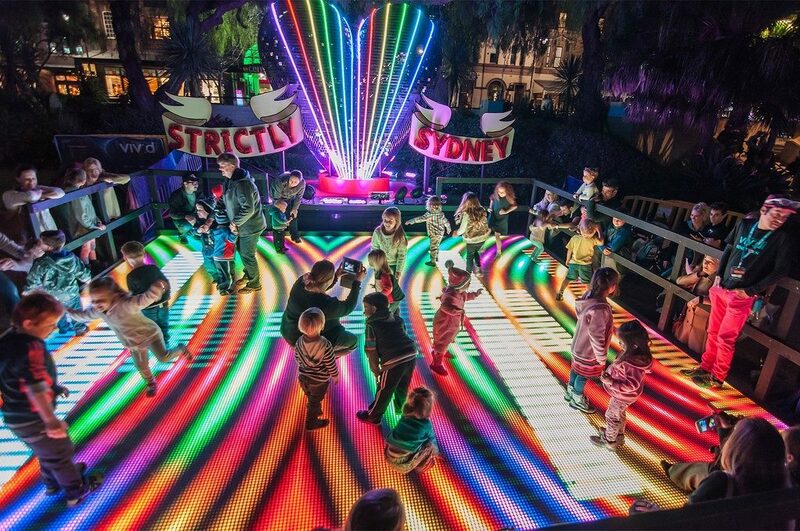 The immaculate light projections and displays express the vibrancy and colourful life of Sydney. Engaging artists, designers and manufacturers, Vivid Light illuminates the city through their creative vision, transforming the urban spaces of Sydney into a magical experience for all to see. 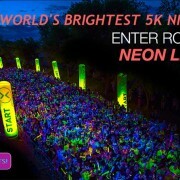 The lights are switched on every night at 6pm until 11pm for the duration of the event, which is 23 nights. Vivid Light can be enjoyed via the Vivid Light walk which takes you through key light displays across Sydney precincts and is family friendly. It does get big crowds due to its popularity so another way to see Vivid Light is from vantage points such as Darling Harbour, Sydney Opera House, The Rocks, Hickson Road Reserve, Walsh Bay, Luna Park, Bradfield Park, Lavender Bay and Pyrmont Park. Gigs, gigs and more gigs! Throughout Vivid Sydney, you’ll get to hear fresh sounds from local bands, famous artists, local and international acts. Enjoy the live performances at all sorts of venues whether large or small. Contemporary music is showcased heavily throughout this the Vivid Music programme. In 2016, Vivid Music showcased over 600 musicians across 31 leading music venues in Sydney. You can also catch more music at Vivid LIVE which takes place at the Sydney Opera House! Be inspired by Vivid Ideas, a great source of ingenuity and innovation, This highly anticipated global forum will leave you impressed by the showcasing of the latest trends and technological advances in education, smart wearables, robotics and more. Check out all the fresh concepts in a place where creative thinking, culture and business are encouraged to intertwine. Attend some workshops and seminars, immerse yourself in tech and startup culture, arts, design and more. Business and creative leaders will be there giving insightful talks. In 2016, the Game-Changers Talk Series took place in Sydney Town Hall, and there is also the Vivid Ideas Exchange which consists of over 60 events at the Museum of Contemporary Art. Check out the schedule for Vivid Ideas and get ready to be inspired! So, what are you waiting for? 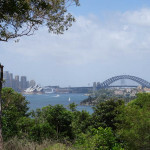 Sydney’s the perfect place to visit if you’re travelling Australia during May/June. Stay in Sydney where the action happens, because Vivid Sydney will certainly light up your day and night! 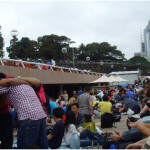 What's New Year's Eve in Sydney Really Like?